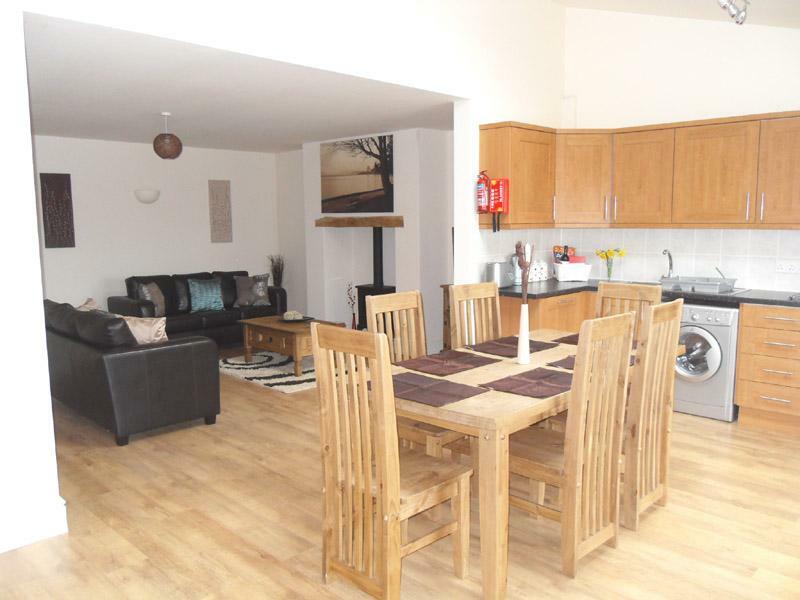 Large, spacious, open plan living area, underfloor heating, dishwasher, washing machine. Leads to south facing patio with barbeque. 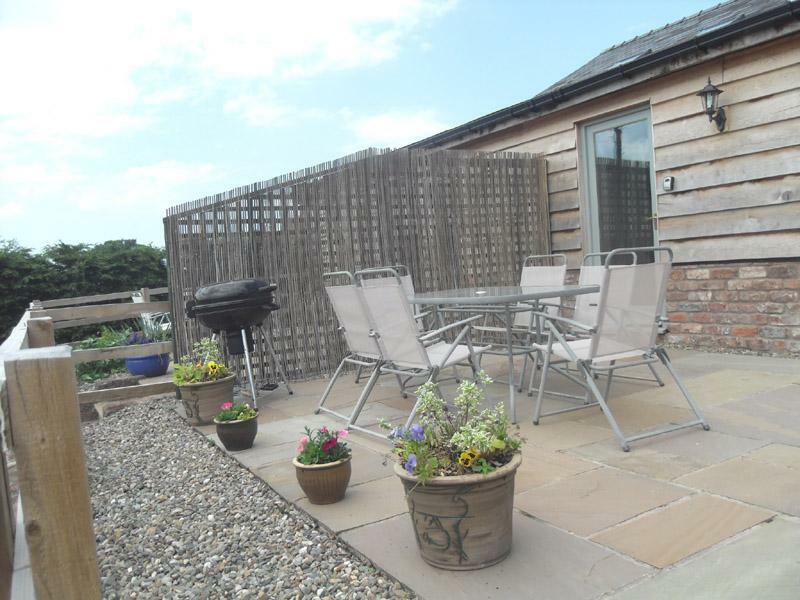 Relax with a glass of wine whilst the barbeque is sizzling away. 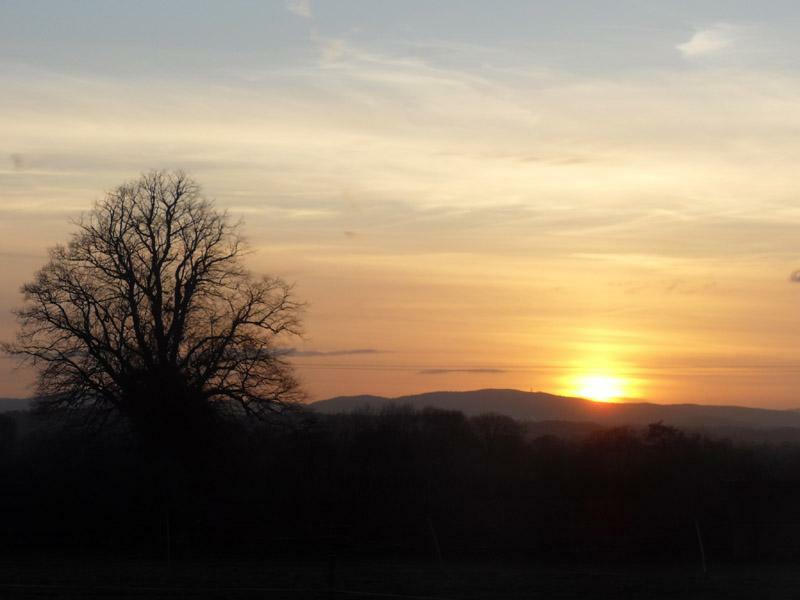 Stunning views of the Cheshire countryside. 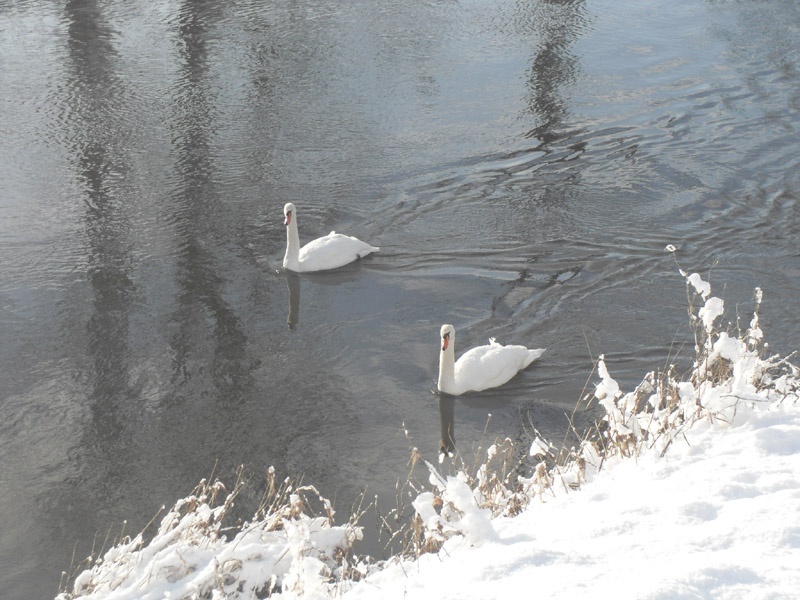 Beautiful local walks. Lounge offers a flat screen digital t.v. in this family let. 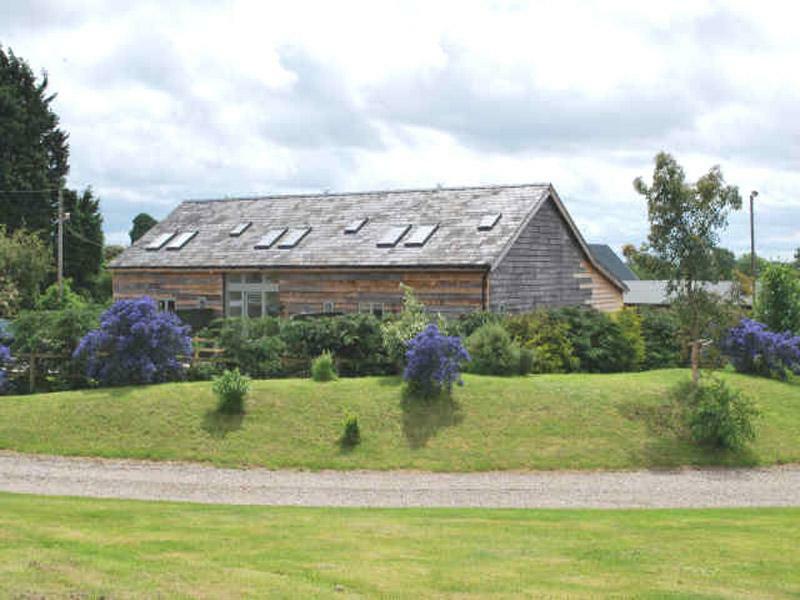 Delighted to offer these 3 lovely, brick built, oak clad, self-catering barn conversions converted to a very high standard. 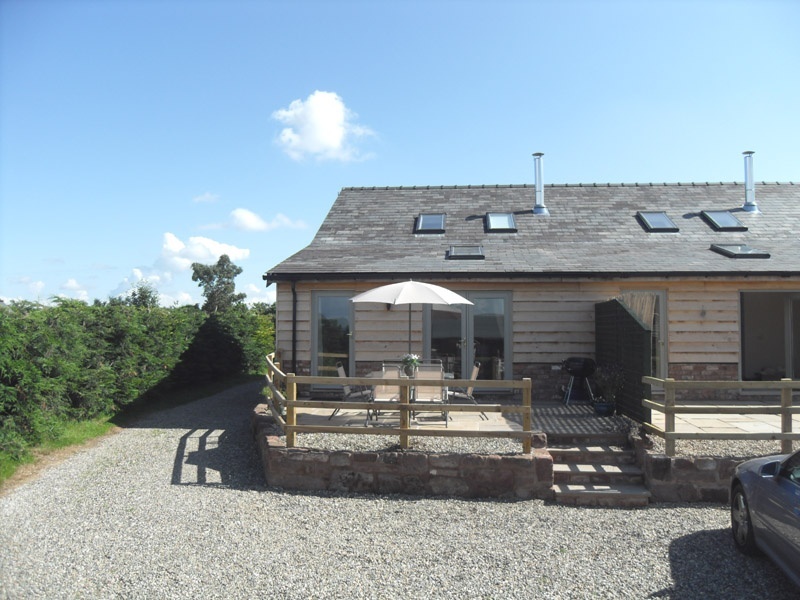 Set in an idyllic, beautiful and quiet location with far reaching views over the Welsh hills and within easy access to the River Dee. 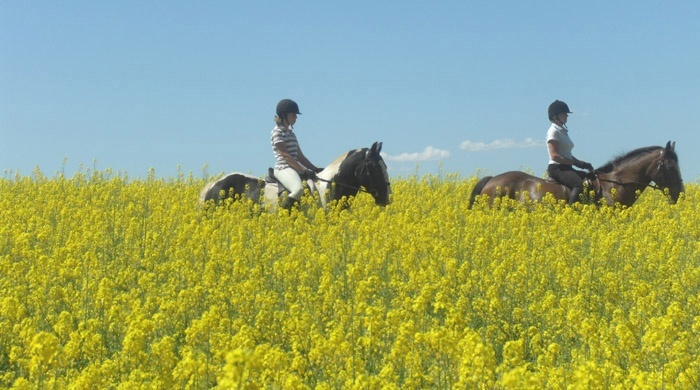 Horses are welcome to graze within the 12 acres of land. There is ample parking for horse box trailers. 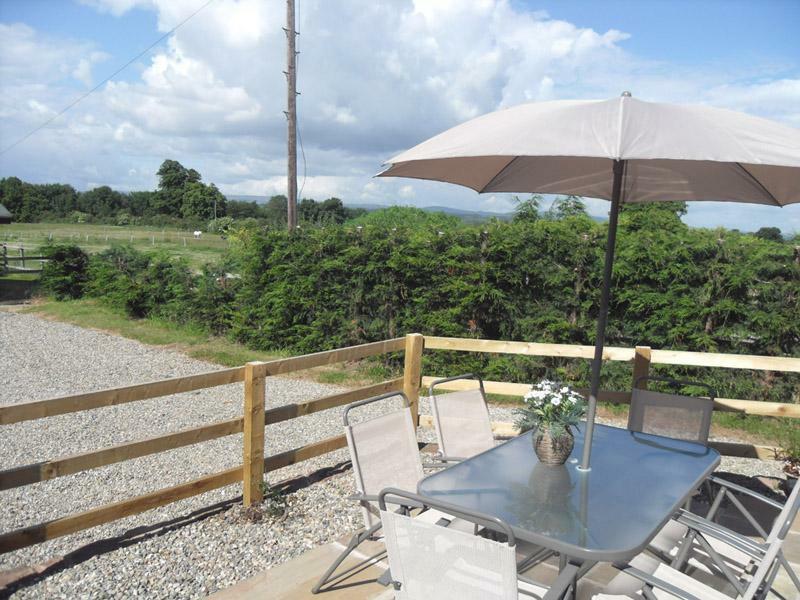 Ideal for walkers and for exploring the Cheshire countryside. If you want to avoid the hustle and bustle of Chester City on an evening, then a 5 minute stroll will take you to the local village with welcoming pubs, bistro, shops and even the florist shop owned by Paul Burrell, former butler to Princess Diana! Approximately 7 miles to Chester and 7 miles to Wrexham. Horses welcome! On site babysitting service on request! Ideal for large family and friends' get togethers! Wi Fi - unlimited broadband! 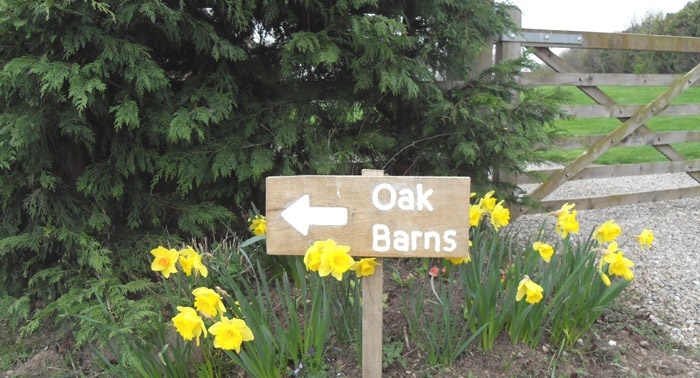 The Oak Barns are in a beautiful location from which to explore Chester and Cheshire. 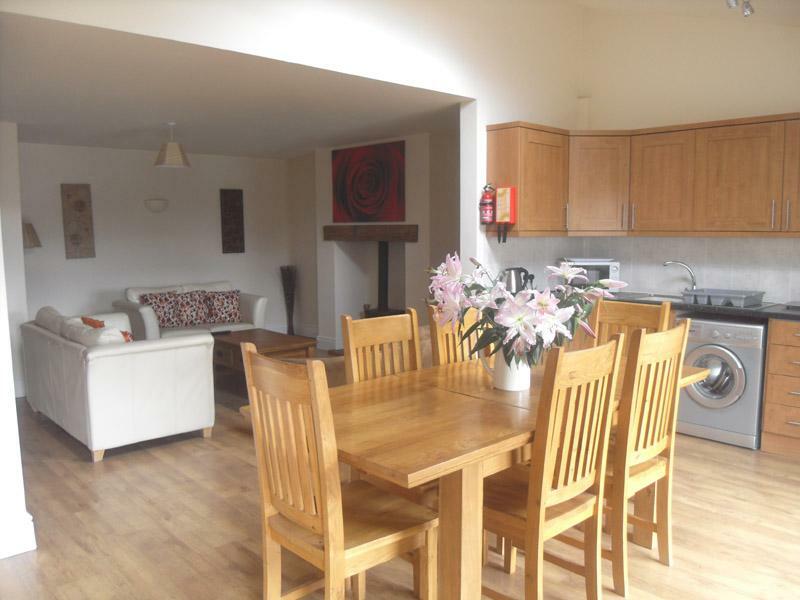 They have been architecturally designed specifically for self catering family holidays. Patios to front and rear of each property with a ramp available for wheelchair access on request. Ample parking next to each property. Overall floor size approx. 1,350 sq. feet. Kitchen/lounge area approx. 460 sq. feet. This ground floor bedroom has an adjacent family bathroom. Ideal accommodation for guests who cannot manage the stairs. All linen and towels are provided. 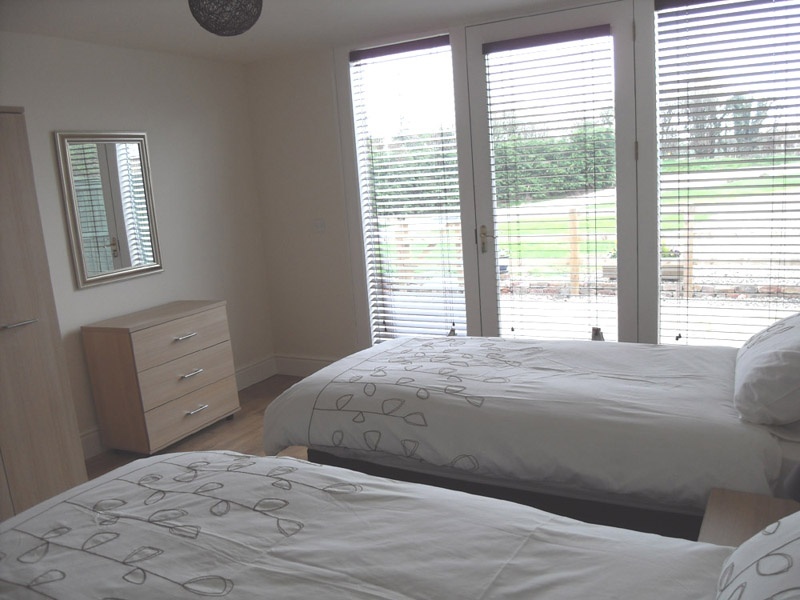 This first floor bedroom has a king bed, blinds to all of the windows and an ensuite bathroom. 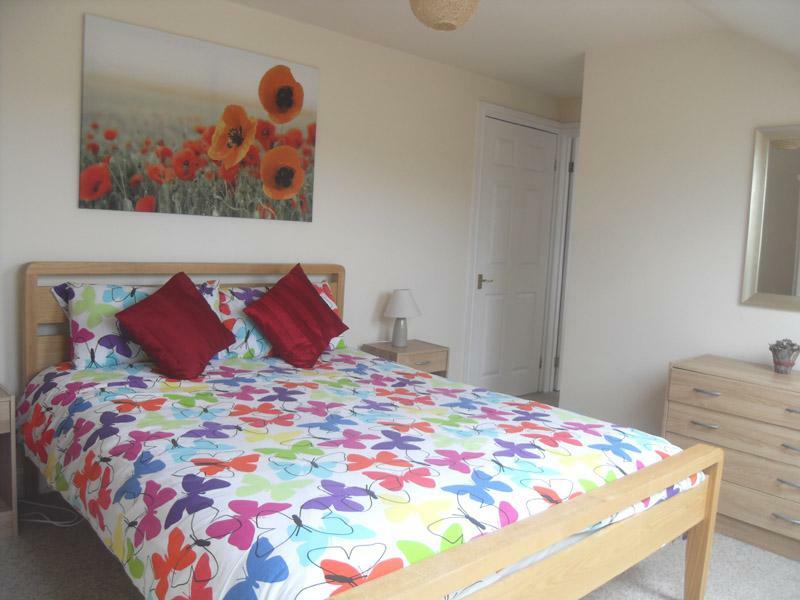 Each property has 3 bedrooms and sleeps 6. 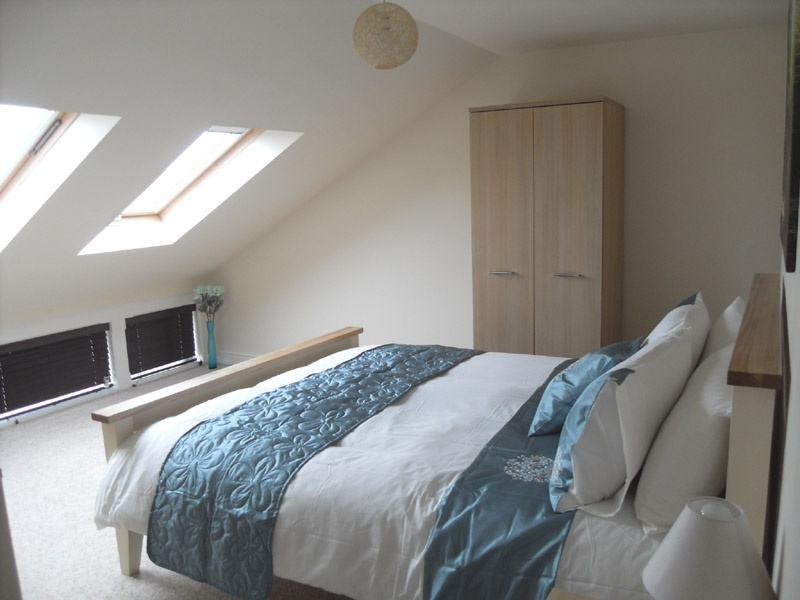 Good quality beds in this twin bedded room on the first floor. Ideal for families. 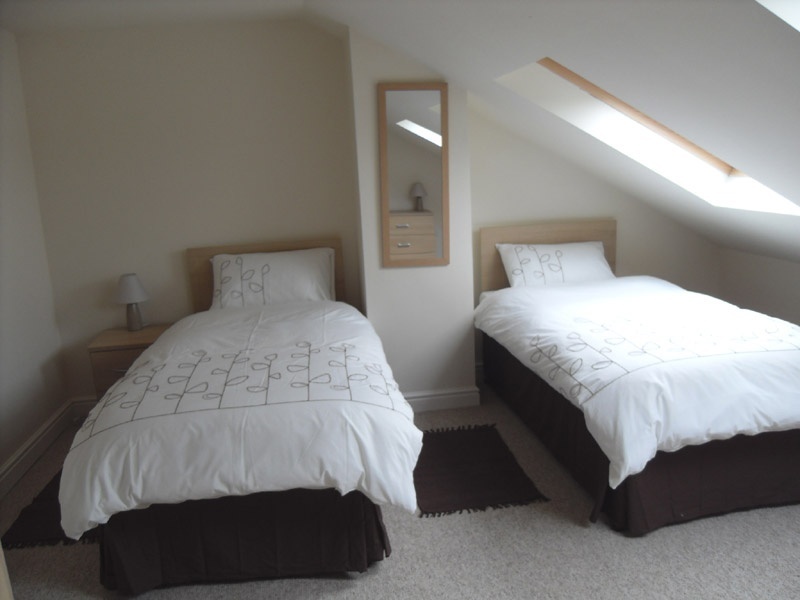 First floor accommodation offers a twin bedded room together with a double bedroom with a king sized bed and ensuite facilities. 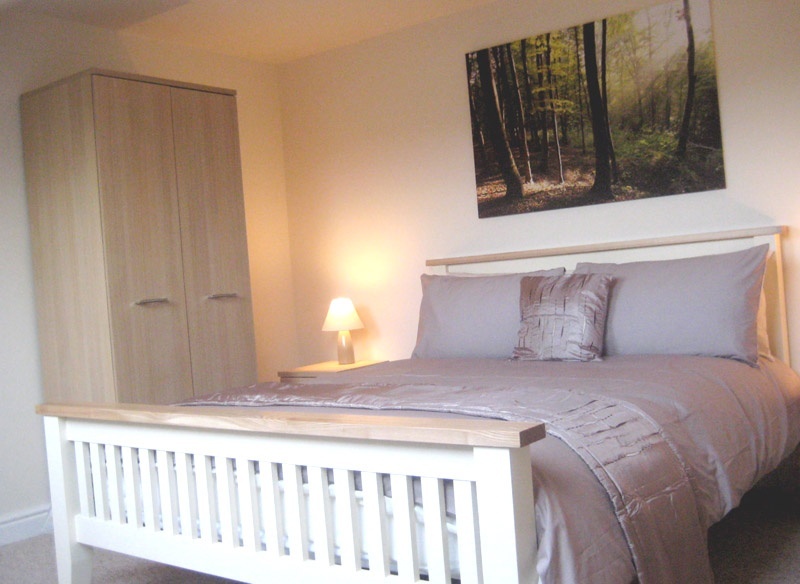 Short breaks of 2 nights or more available on request. Local taxi and minibus services to and from Chester.